Currently, I have 6months pregnant, my second baby. I had experiences before when I had my first pregnancy but I was so blessed that my body is given to me. It was miracle! I am 39years old now, so I was so elate to feel my baby inside. When I had my first child, Peter, I gained 20kg from 1st month until 9months. I checked my weight every month, and I always surprised that my weight was increased every time. But now, my weight is still same. I never decrease my work, I work everyday. I love eating sweets and meats much more than before. Those food can motivate me to work even my condition. Usually, pregnant have gain weight every time, but for me, my weight is still same. Why ? I do my routine every day, I do stretching and exercising every morning. Absolutely, I wear my high-heels every time. There are many rumors about pregnancy. Like for example, wearing high-heels. Many people say that pregnancy should not wearing high-heels because they will have the risk of falling while wearing high-heels. One day, I was walking along the street, then I saw a woman walking in front of me. Then, she fell with a crush suddenly. I noticed that she was wearing flat shoes. If she wore high-heels, many people would criticize her because of that, bias. 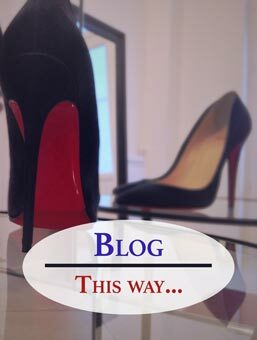 Wearing high-heels is not the issue, but the problem is walking without any knowledge and techniques. I recommend women to wear high-heels every time, even pregnant. Pregnant women have some problems-negative thoughts, they feel tired, they don’t have so much motivation,etc. But if they can wear high-heels, they will have more positive attitude, more elegance and sexiness. Wearing high-heels is very important. They should wear their high-heels not just for single women, married, pregnant, mother, everyone. Anyone can wear high-heels,career women, housewife, mother, single. They should not take off their high-heels if they change their life.